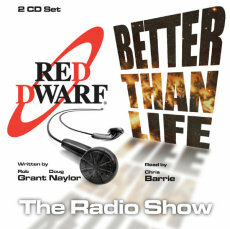 Red Dwarf audiobooks now available for download. 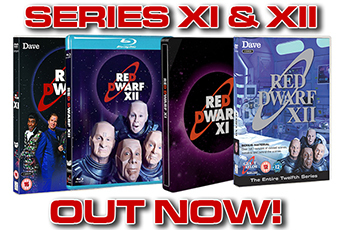 Oh, this is a fantastic week for lovers of Red Dwarf. Infinity Welcomes Careful Drivers and Better Than Life are now available in their 'radio show' forms from the iTunes store. And bloody marvellous they are, too. We asked Laughing Stock's Mike O'Brien to explain a little about how the original Radio Shows came together... and he did. Top bloke! "In 1992 Laughing Stock Productions acquired from Rob and Doug the audio rights to the two Grant Naylor books, Infinity Welcomes Careful Drivers and Better Than Life. 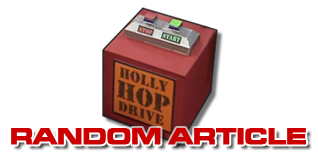 "Originally the idea was to create two talking books with Chris simply reading the text in Rimmer's voice. But at our first meeting with Chris he suggested that he could in fact do all the characters himself, which would make a far more interesting listen for fans. And with that brilliant offer from Chris, these unique audio recordings went into production. "A studio was booked in glamorous Balham, South London - Gateway to the South! - and Colin Collino of Laughing Stock took the helm as producer. "The first day at the studio was fascinating as we weren't sure if Chris wanted to do each character's part separately with loads of 'drop ins', or all in one go. After some discussion Chris elected for the 'all in one go' option, and after the red recording light went on he picked up the script and through the monitor speakers, to our delighted ears, we heard Lister plying his trade as a taxi driver on the planet Mimas as he stopped to pick up an 'officer' from the mining ship Red Dwarf. 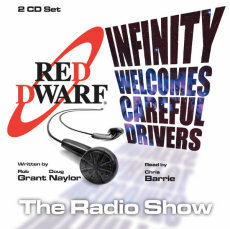 Infinity Welcomes Careful Drivers was on its way ! "The recordings took nearly three weeks, with Chris creating over 70 additional character voices - including John F Kennedy, the female captain of Red Dwarf, characters from It's A Wonderful Life and the crooning singer of the hit single: Press Your Lumps Against Mine whose crooning brought Lister and Kochanski together. "In 1995 the BBC World Service commissioned the Red Dwarf Radio Show as a 24-part radio series and Chris was hauled back in to record 'catch ups' and some additional voices. 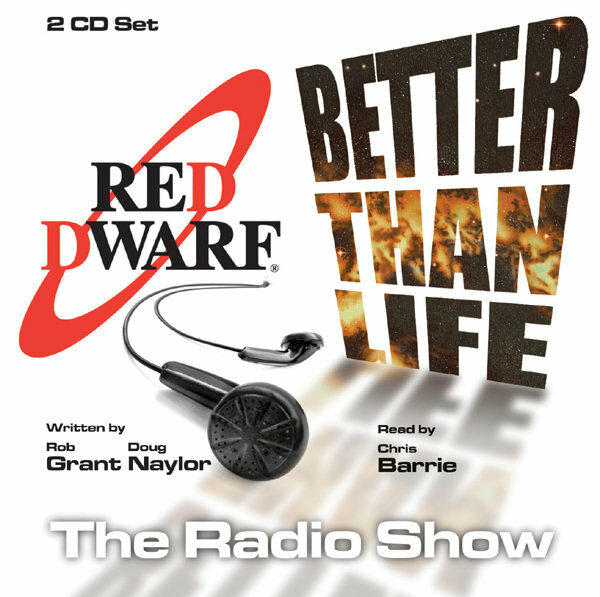 The series was a big hit for the World Service, but since then these recordings have languished in audio stasis until an email arrived in December 2007 from Grant Naylor Productions informing us that Red Dwarf's 20th Anniversary was upon us..."
Members of the Red Dwarf mobile service are in luck, too, as the talking book chapters are shortly to arrive as part of your regular membership content, complete with Chris Barrie recaps! In the meantime, iTunes is the place to go. 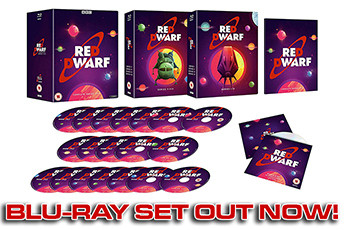 It's the first time the Red Dwarf audio books have been made available in a digital format - and we're certain you're gonna love them. Check out the Radios Shows in our Merchandise Section.